Sometimes you track time entries that you just aren’t going to Invoice but you don’t want MinuteDock suggesting you Invoice it under the Invoice tab. 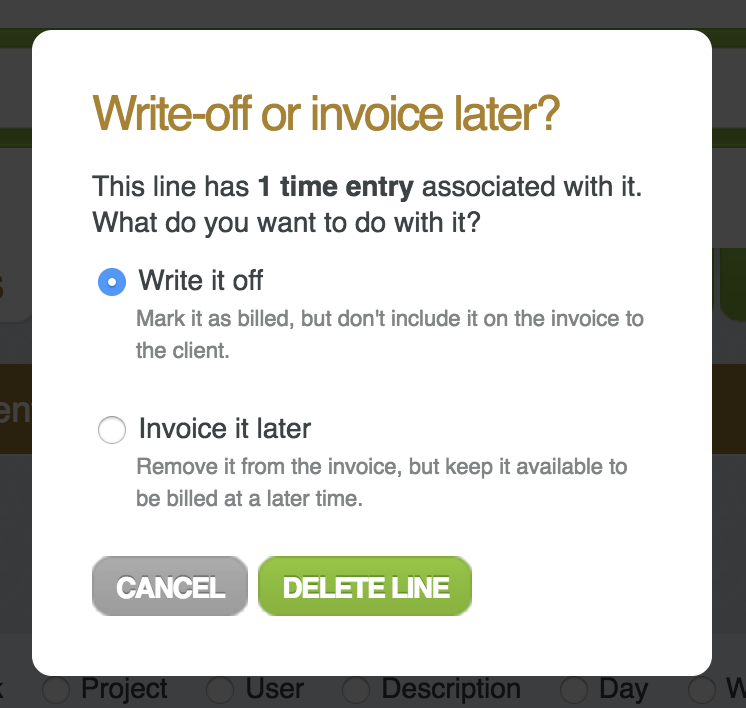 When you remove line items from an invoice, you can choose whether you write it off, or invoice it later. 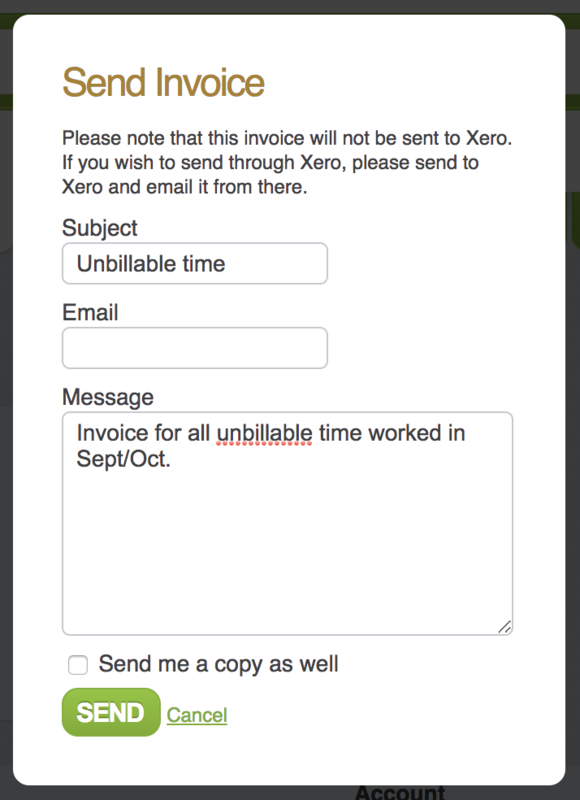 By default MinuteDock won’t suggest you Invoice unbillable time entries. To set an entry as unbillable, use the #unbillable task, or uncheck the billable option on the Contact, Task, Project or User in the settings and it will leave those time entries out of the invoicing page. This is a bit of a roundabout way to get rid of the time, but simply creating an Invoice which includes the time entries you want to hide then sending it as PDF attachment to yourself (not the client) will make MinuteDock consider the time invoiced, and hide it from future suggestions.